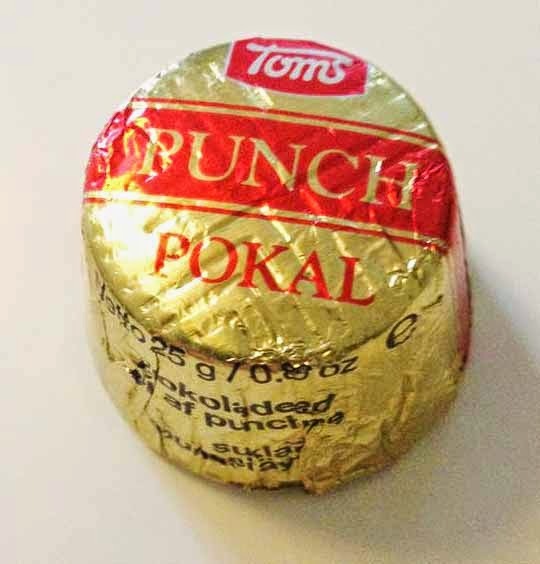 Punchpokal is a round, dark chocolate filled with arrack punch creme. Although it's made by Danish candy manufacturer Toms, arrack punsch is a typical Swedish arrack liquor which is severely sweet in taste. 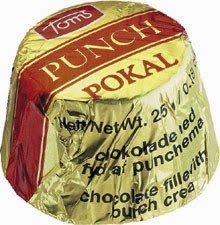 The dark chocolate is delicate and the creme is rich in vanilla flavour and tastes distinctly of arrack punsch (Punchpokal probarbly has the most alcoholic flavor of those three, alcoholic creme chocolates I've tasted). The sweet liquor flavour and dark chocolate goes very well together. It's simply delicious. 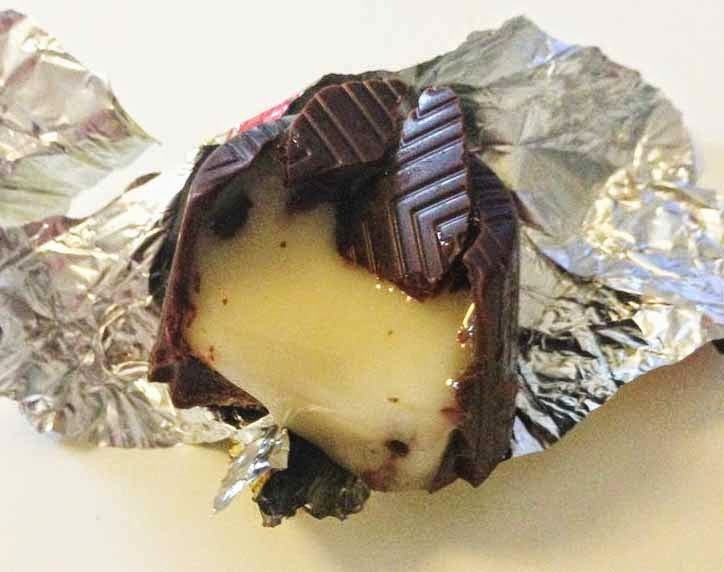 I love creamy alcohol chocolates! Quite rare in the UK, I wish to visit Scandinavia!